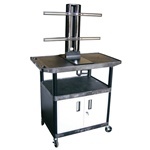 42" wide top shelf cart with built in plasma/LCD mount that can accommodate up to a 50" screen. Middle shelves are 32"W x 24" deep. All shelves are reinforced with two aluminum bars for added strength. Molded plastic shelves will never dent, rust or stain. 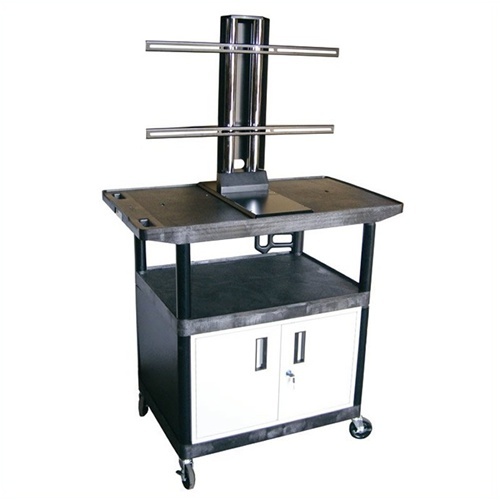 Includes 3-outlet surge suppressing electric assembly with 15' cord and locking steel cabinet.